Dr. Gerald Bird and Dr. Jay Johnson have assisted patients through Melbourne and Cocoa with expert oral surgery. We feel that finding a skilled oral surgeon who focuses on patient needs should be easy, which is why we do our best to make it easy on you. This may explain why our practice has a strong reputation for patient-centered care. We know that there can be an involved process in finding an oral surgeon. We'd like to go over some of the basic things that you can do or that you should consider when you're trying to find an oral surgeon in your area. Some people are surprised how important it is to pick the right oral surgeon. In a number of cases, it can make a major difference on your treatment experience. A good oral surgeon will be able to perform various procedures with little chance of complications, and he or she will be able to provide you with the information you need to understand the recovery process. In other words, a good oral surgeon means a good treatment experience. One option to consider is getting recommendations from your dentist or your loved ones. In many cases, the pick will be vetted by someone that you can trust. These recommendations come with the bonus of being from trusted sources and they are a good first resource for finding an oral surgeon in your area. If you can't find an oral surgeon through recommendations, your next option is to use the internet to find oral surgeons in your area. Simple searches on Google can provide you with many results that you can then narrow down as needed. If an oral surgeon in your area has a website of some kind, this can prove very helpful. The website will usually include practice information and information on the surgeon. This is a good way to check the credentials and training of the surgeon and whether or not he or she is reputable. 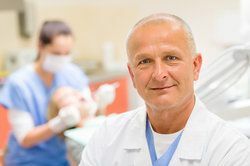 If the surgeon doesn't have a personal website, there are many dental organizations and resource websites to consider that will list the oral surgeon's credentials and education as well. Whatever the case may be, this is a fine way of doing research for your dental health needs. Another important online resource are reviews and patient testimonials. This will give you a great idea about what treatment by the surgeon is like by people who have actually undergone surgery. It will also help you understand if the oral surgeon has a positive or negative reputation. When you've found some strong potential oral surgeons in your area, feel free to reach out to them and ask questions. This will give you a good idea of his or her personality and help you gauge if this is a dental health professional you can actually trust. These are important factors that go beyond basic surgical expertise, so take the process seriously. Once you've done your research, take time to weigh your options and make the choice with which you feel most comfortable. If you're unable to make a choice between a few options, go back to patient reviews and testimonials as well as the surgeon's credentials. If you would like more information on how to select the right surgeon for your advanced dental health needs or would like to visit our practice for yourself, it's important that you contact our oral surgery center today. Dr. Gerald Bird and Dr. Jay Johnson look forward to your visit and helping you achieve excellent dental health in the process.